We use conjugated to refer to compounds in which two π bonds are separated from each other by exactly one σ bond. 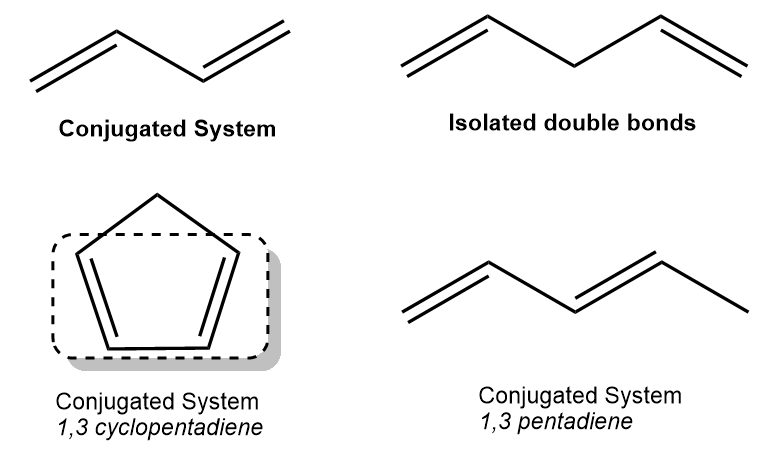 A conjugated system is a system of connected p-orbitals that bridge the interjacent single bonds. Since each contiguous atom in the system has an available p orbital the electrons get delocalized i.e. the electrons are spread throughout the system. The net effect of such a system is that it lowers the overall energy of the molecule and increases stability.